Once a Xamarin.iOS app has been developed, the next step in the software development lifecycle is to distribute the app to users using the iTunes App Store. This is the most common way of distributing applications. By publishing an application in Apple’s App Store, it can be made available to consumers worldwide. Distributing an application – just as with developing an application – requires that applications be provisioned using the appropriate provisioning profile. 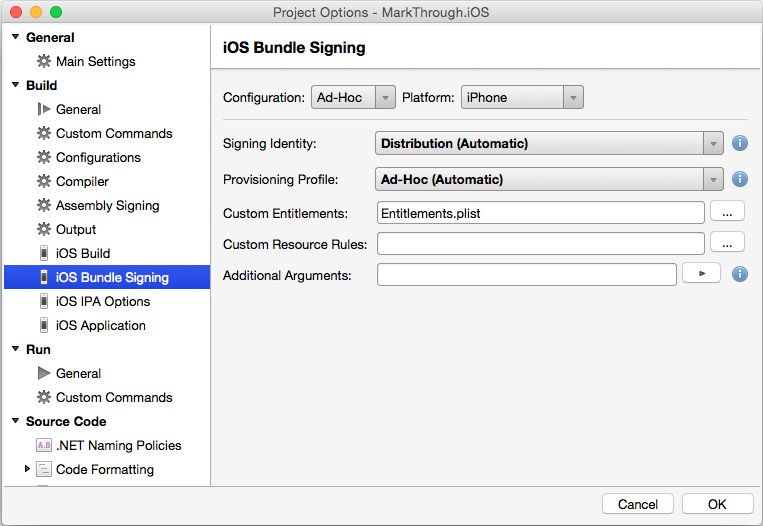 Provisioning profiles are files that contain code signing information, as well as the identity of the application and the intended distribution mechanism. 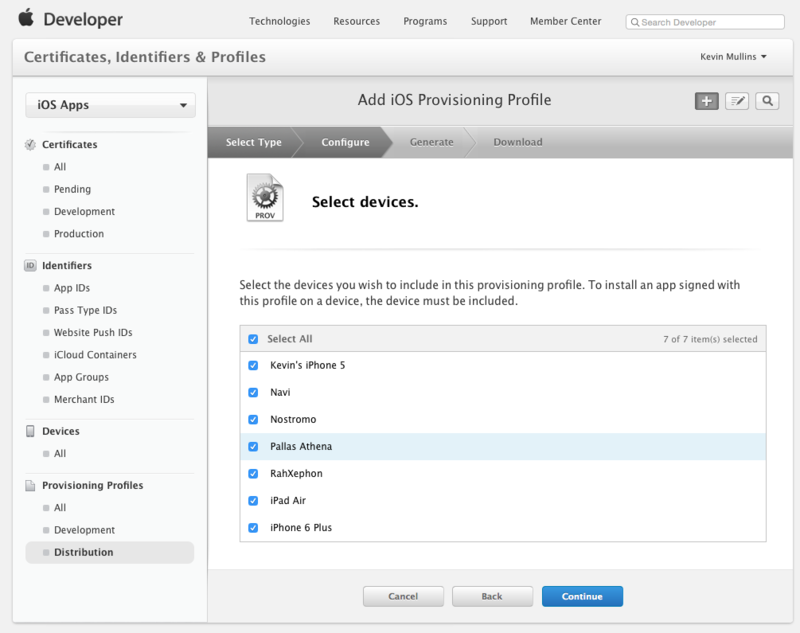 They also contain information about what devices the app can be deployed to for the non-App Store distribution. It is important to note that to use iTunes Connect, and therefore publish an app to the App Store, you must be part of either an individual or organizational Apple Developer Program. You will not be able to follow the steps on this page if you are a member of an Apple Developer Enterprise Program. 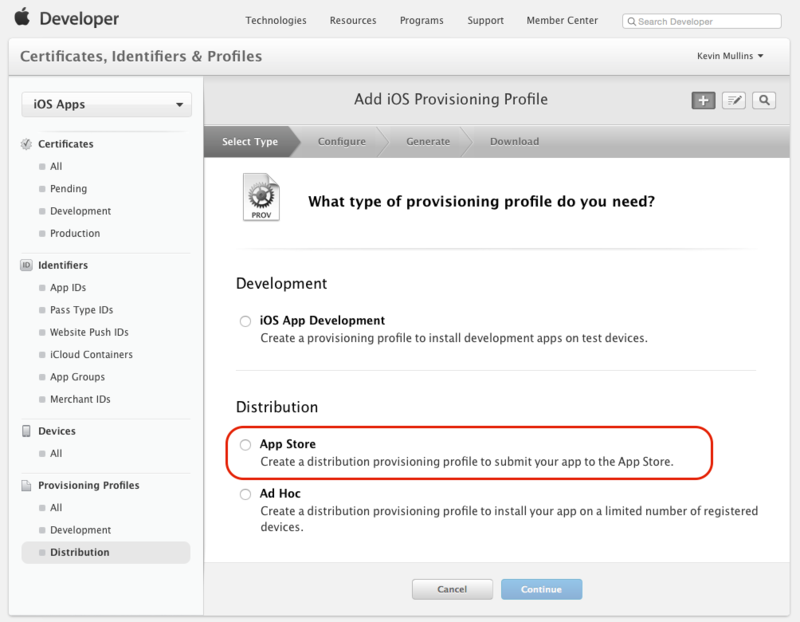 You can select the same App ID and Devices that you used for your development provisioning profile, but if you don't already have one, you will need to create a Distribution Certificate to identify your organization when submitting the app to the app store. The steps on how to create a Distribution Certificate are described in the section below. 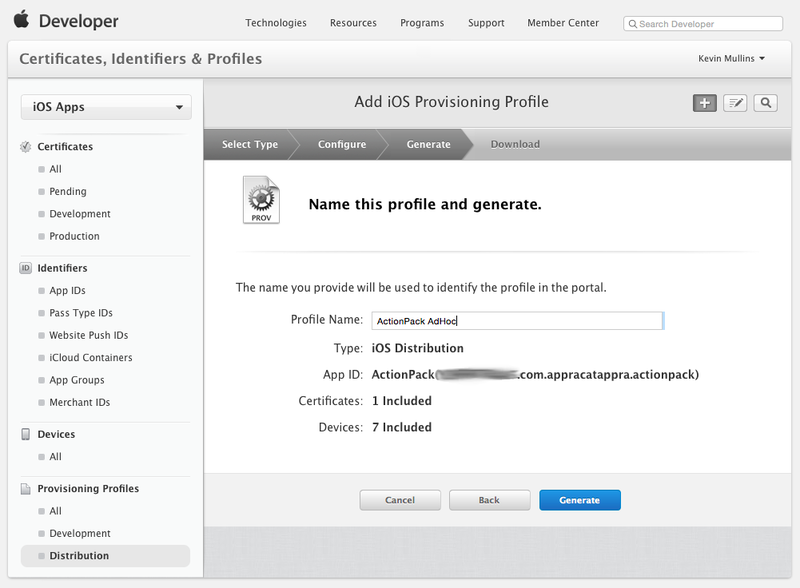 Only Team Agents and Admins can create Distribution Certificates and Provisioning Profiles. 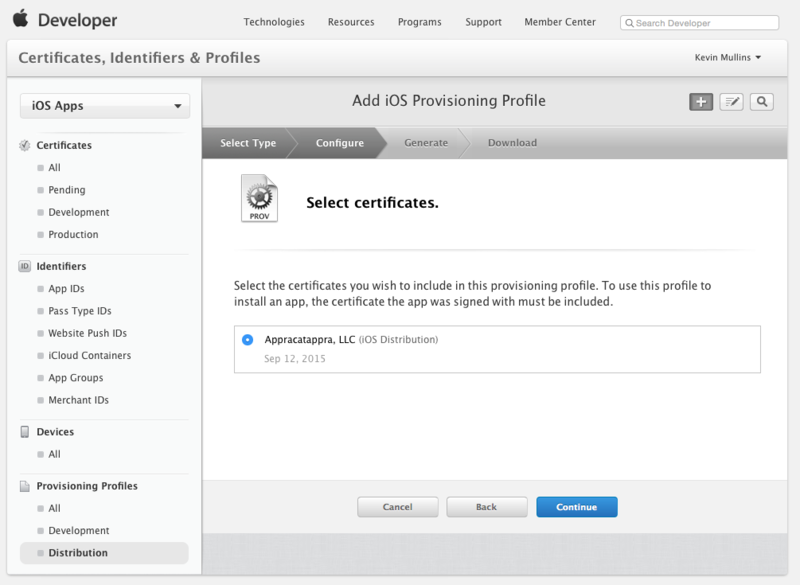 Browse to the Certificates, Identifiers & Profiles section of the Apple Developer Member Center. 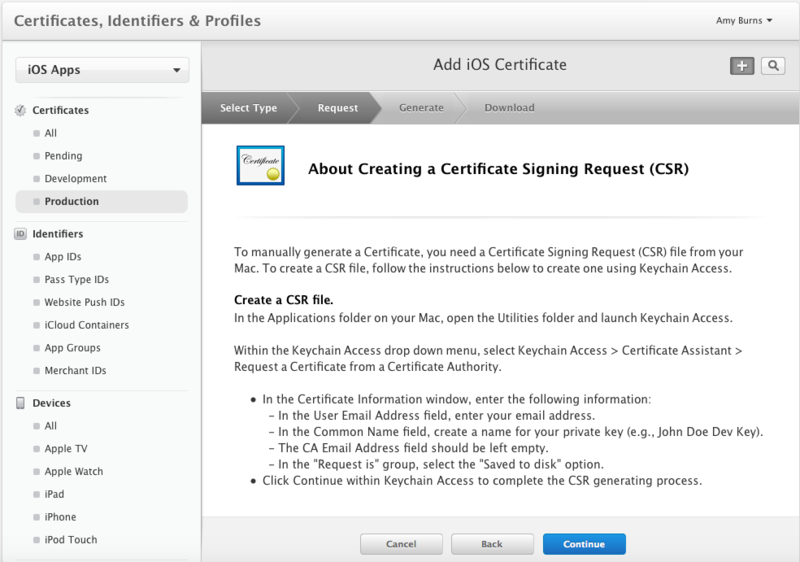 Click the + button to create a new Certificate. 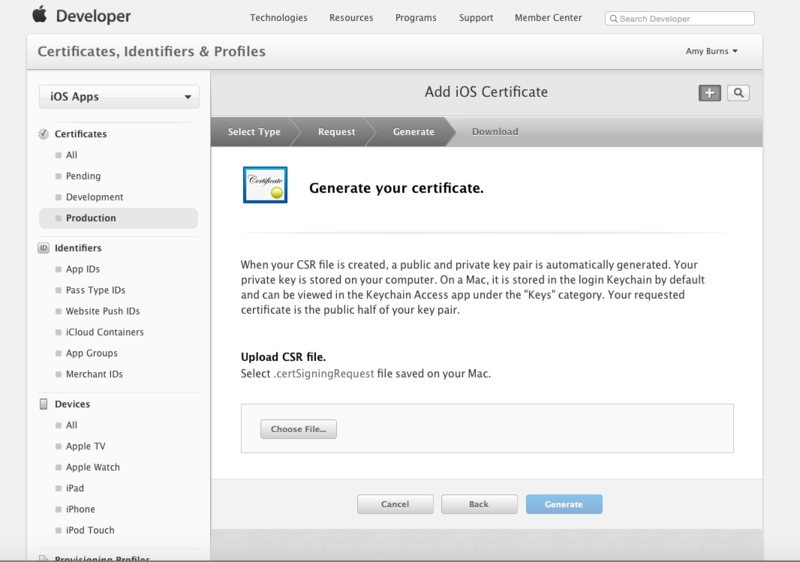 Click Generate to create the certificate. Finally, Download the completed certificate and double-click on the file to install it. 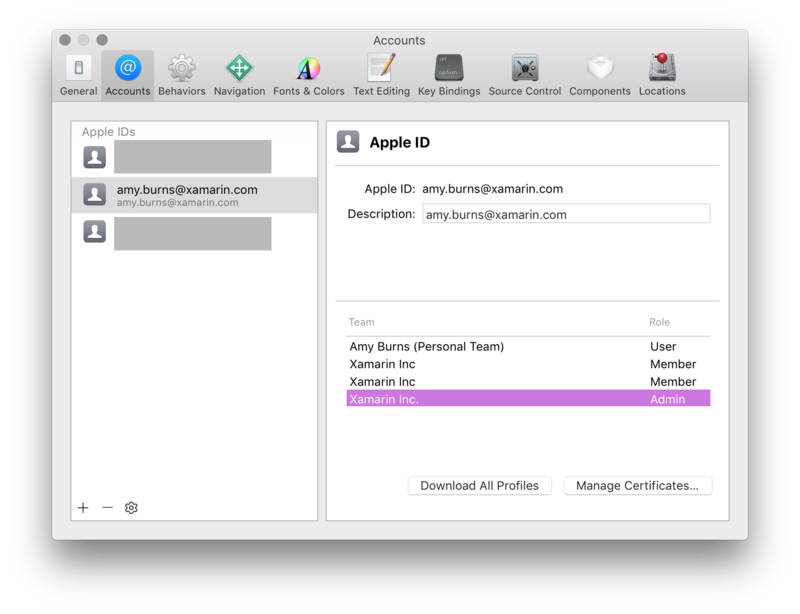 At this point, the certificate should be installed on the machine, but you may need to Refresh your profiles, to ensure that they are visible in Xcode. 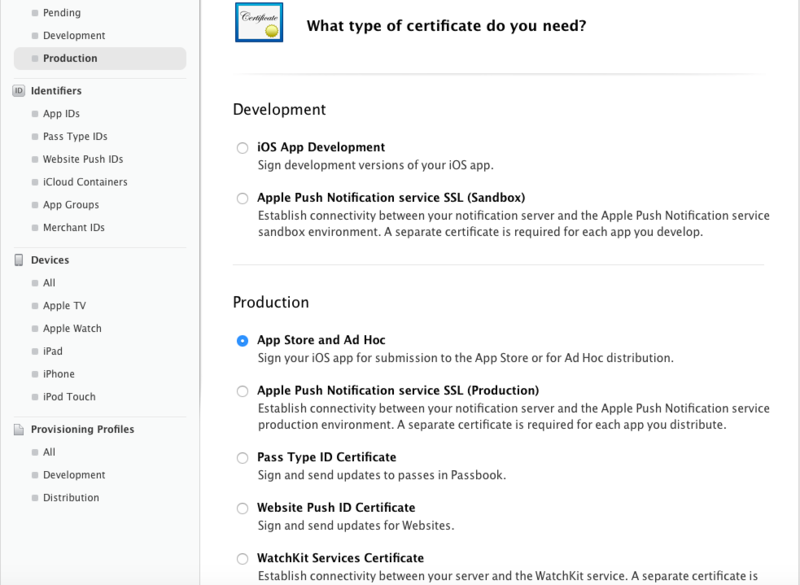 In the Apple Developer Center browse to the Certificate, Identifiers and Profiles section. Select App IDs under Identifiers. Click the + button and provide a Name which will identify it in the Portal. Select any App Services that the app requires. Click the Continue button and following the on screen instructions to create the new App ID. Click the Generate button to create the new profile and finalize the process. 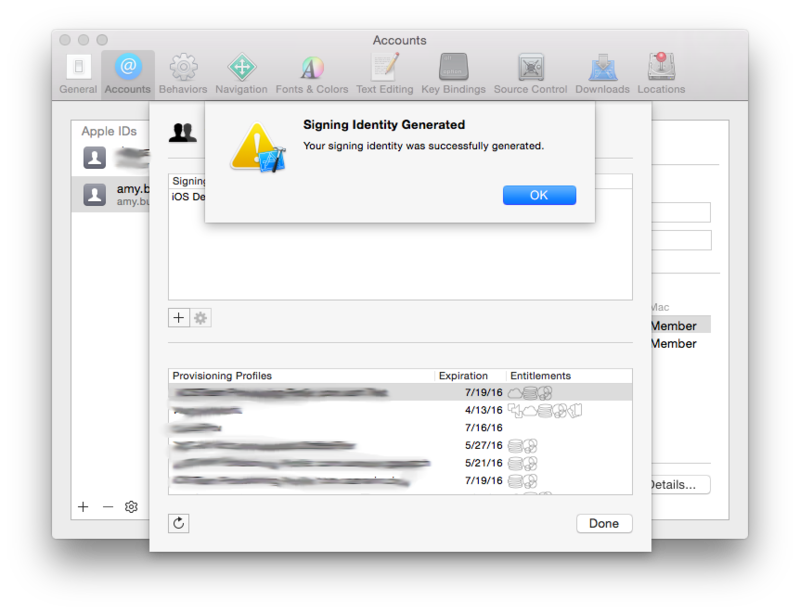 You may have to quit Visual Studio for Mac and have Xcode refresh its list of available Signing Identities and Provisioning Profiles (by following the instructions in the Requesting Signing Identities section) before a new Distribution Profile is available in Visual Studio for Mac. 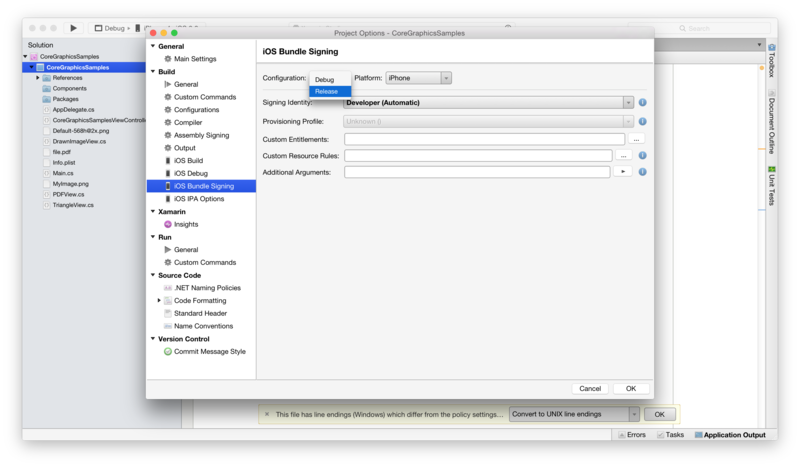 You may have to quit Visual Studio and have Xcode (on the Build Host's Mac) refresh it's list of available Signing Identities and Provisioning Profiles (by following the instructions in the Requesting Signing Identities section) before a new Distribution Profile is available in Visual Studio. 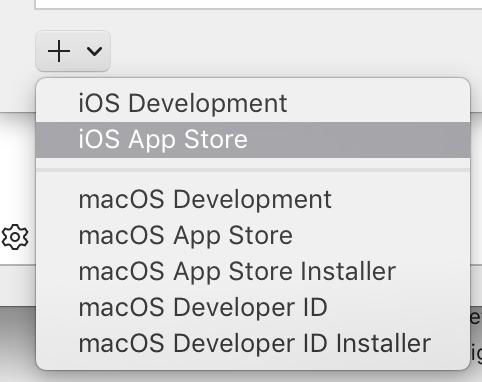 When you are ready to do a final build of a Xamarin.iOS application for sale in the iTunes App Store, select the Distribution Profile that was created above. Double-click the project name in the Solution Explorer to open it for edit. Right-click the project name in the Solution Explorer and select Properties to open it for edit. Save the changes to the project's Properties. Once the application is successfully been provisioned, the next step is to configure the apps in iTunes Connect, which is a suite of web based tools for, among other things, managing iOS applications in the App Store. Your Xamarin.iOS application will need to be properly setup and configured in iTunes Connect before it can be submitted to Apple for review and ultimately, be released for sale or as a free app in the App Store. 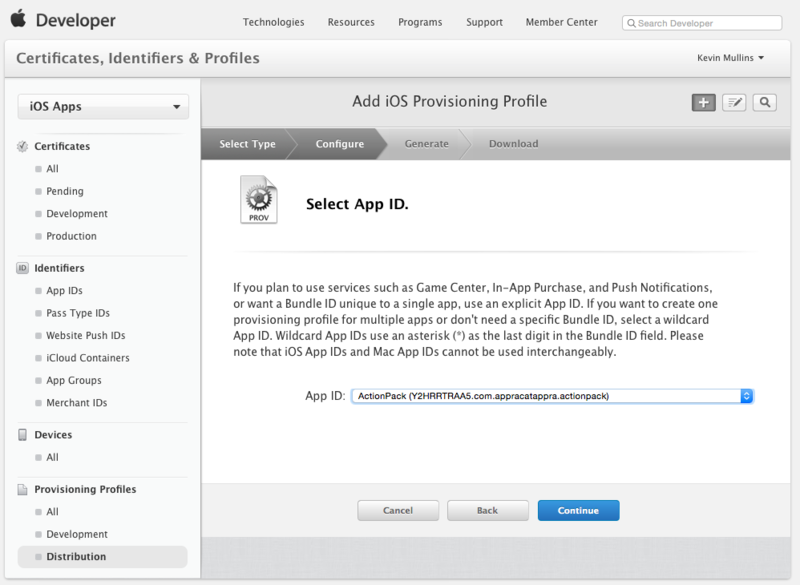 For more details, please see our Configuring an App in iTunes Connect documentation. 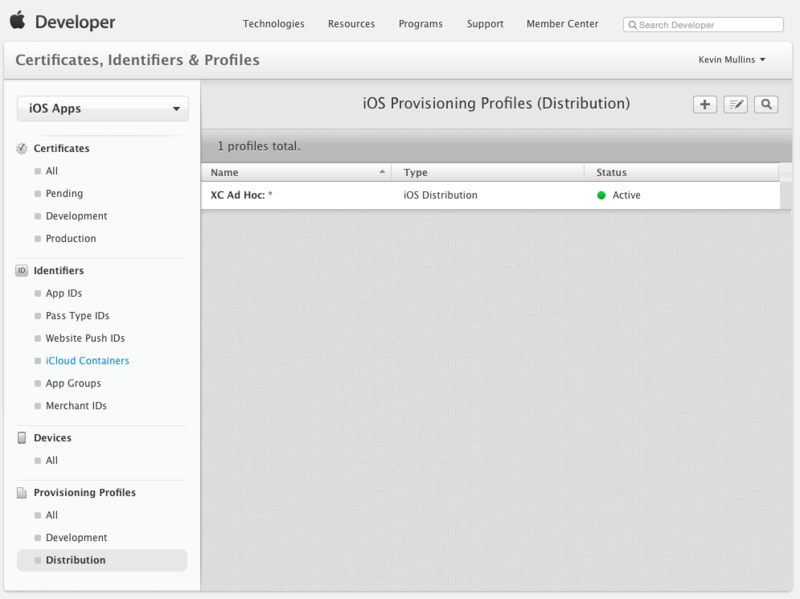 Once the application is signed using the Distribution Provisioning Profile and the app is created in iTunes Connect, the application binary is uploaded to Apple for review. Upon a successful review by Apple, it is made available in the App Store. For more information on publishing applications to the App Store, see Publishing to the App Store. When building iOS apps in Visual Studio and the Mac Build agent, the .app bundle is not copied back to the Windows machine. Xamarin Tools for Visual Studio 7.4 adds a new CopyAppBundle property that allows CI builds to copy .app bundles back to Windows. 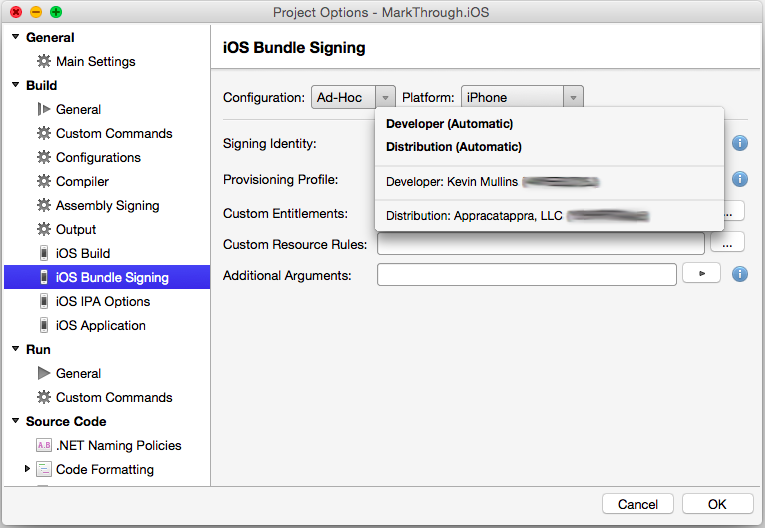 This article covered the key components in preparing a Xamarin.iOS application for distribution in the App Store.